According to the (Wegener. 2005) that Peer Review is the evaluation of creative work or performance by other people in the same field in order to maintain or enhance the quality of the work or performance in that field. 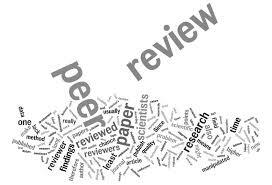 Peer review can be categorized by the type of activity and by the field or profession in which the activity occurs. Peer review is a simple process, but requires planning to be successful. Peer review can occur in a single class period or as an extended assignment. To effectively plan, consider the length and type of written assignment to use the number of students involved, mobility constraints in the classroom, and the amount of time available. In advance, determine how you will evaluate the peer review activity (Hill, 2005). Peer review refers to the many ways in which students can share their creative work with peers for constructive feedback and then use this feedback to revise and improve their work, (Hoston, 2010). Still in Horton states that for the writing process, revision is as important as drafting, but students often feel they cannot let go of their original words. By keeping an audience in mind and participating in focused peer review interactions, students can offer productive feedback, accept constructive criticism, and master revision. Based on the definition above, the writer concludes that Peer Review is a strategy that used to correct the students’ writing result among by their peers and the students can learn to reflect on their own work, self-edit, listen to their peers, and assist others with constructive feedback. Belum ada tanggapan untuk "Peer Reviewing in Writing"